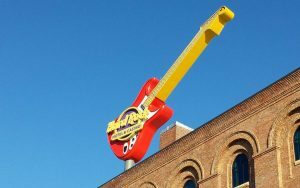 Gaming and hospitality company Hard Rock International has completed its payment bond the Government of Catalonia, where it was given the green light to build and operate an integrated resort. Damià Calvet, head of the Catalan Department of Territory and Sustainability, told local media that the Florida-based developer and operator completed its payment bond on Friday, June 8 and within the previously set deadline. Hard Rock’s payment bond totaled €10 million, €3 million of which the company was required to deposit last year when it entered the competition for the construction of an integrated resort in the Tarragona province. The operator paid the remaining €7 million yesterday. Hard Rock now has three years to complete its major project. It is believed that the company will break ground on the complex before the summer of 2019. According to government estimates, the resort could generate 11,000 new jobs, both indirect and direct. Commenting on the massive project, Mr. Calvet said that it would help Tarragona turn into a globally popular tourism destination. He further explained that despite previous reports that the plan had been scrapped, that had never happened. The official went on to say that they have been working quietly to make sure that the project will help Tarragona and Catalonia, as a whole, to improve its economy and tourism industry while new jobs are created. It was late last month when the Government of Catalonia formally approved the €2-billion integrated resort scheme. The bidding process for the resort was opened last summer and by the time it closed, Hard Rock remained the only bidder for the development of a mixed-use property with hotels, attractions, and a casino. The Florida-based company was eventually given the green light to proceed with that plan after multiple delays. The project was previously referred to as BCN World, but it was announced in May that the resort will actually be called Hard Rock Entertainment World. 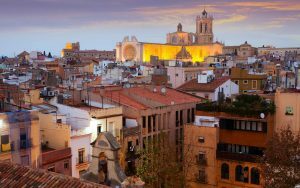 It will be located in the Vila-seca and Salou region in the Tarragona province. According to details previously provided by Hard Rock, its Catalan resort will feature two hotels with a total capacity of 1,100 rooms, a 75-store retail center, a number of dining facilities, bars, and entertainment venues, and a 10,000-square-meter casino. The company has said that it plans to spend around €2 billion on the mega scheme. It is yet to be announced when the integrated resort will be completed, but as mentioned above, that should happen within a three-year period, under the company’s contract with the Government of Catalonia. The construction of the Tarragona property comes as another indication that major hotel and casino companies might finally be ready to explore and expand their integrated resort operations into Europe. Properties of this type have already become the standard in Las Vegas and multiple Asian countries, but they are yet to be introduced properly to the European gaming and hospitality scene. Hong Kong’s Melco Resorts & Entertainment will probably open Europe’s first proper integrated resort. The company broke ground Friday on a €550-million development in the Republic of Cyprus. The integrated resort is slated to launch in 2021 and to feature a hotel, a casino, MICE facilities, and a number of attractions.